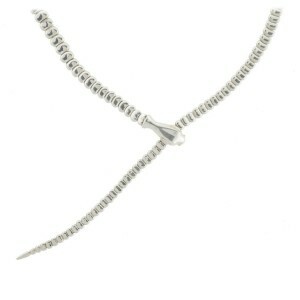 Size and Fit The necklace measures 19.5" long from end to end. 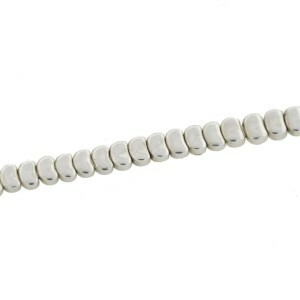 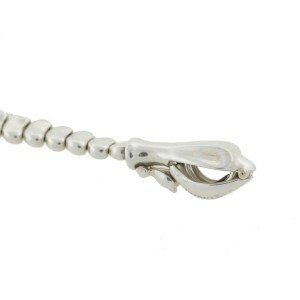 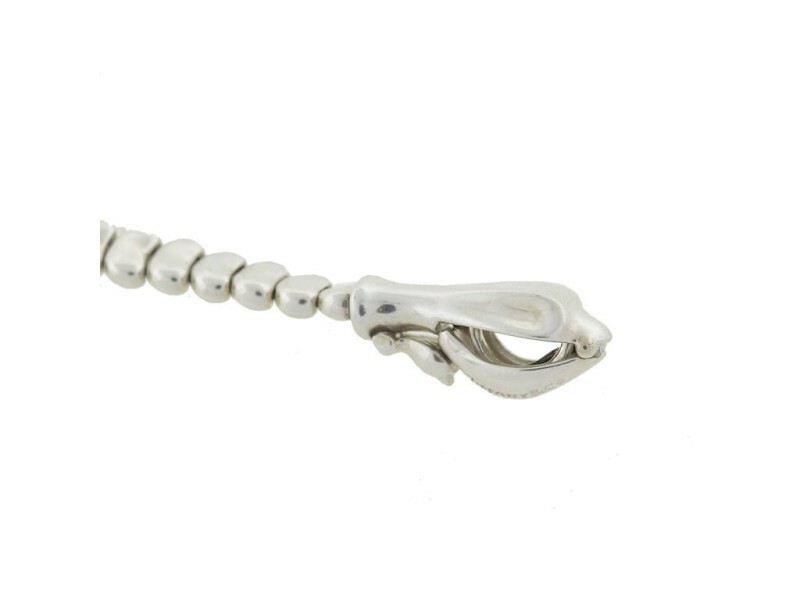 It measures 1/4" at its widest point (not including the snake head clasp), 1/8" at its narrowest point and 1/8" thick. 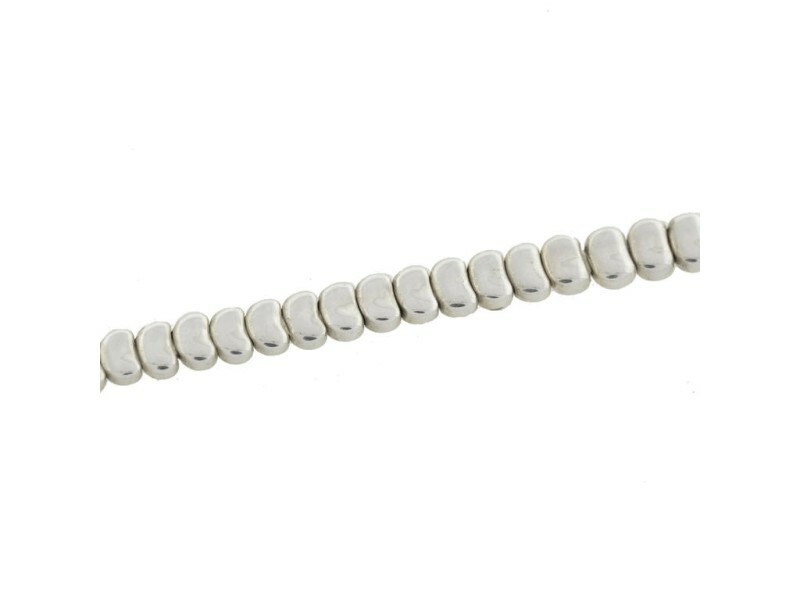 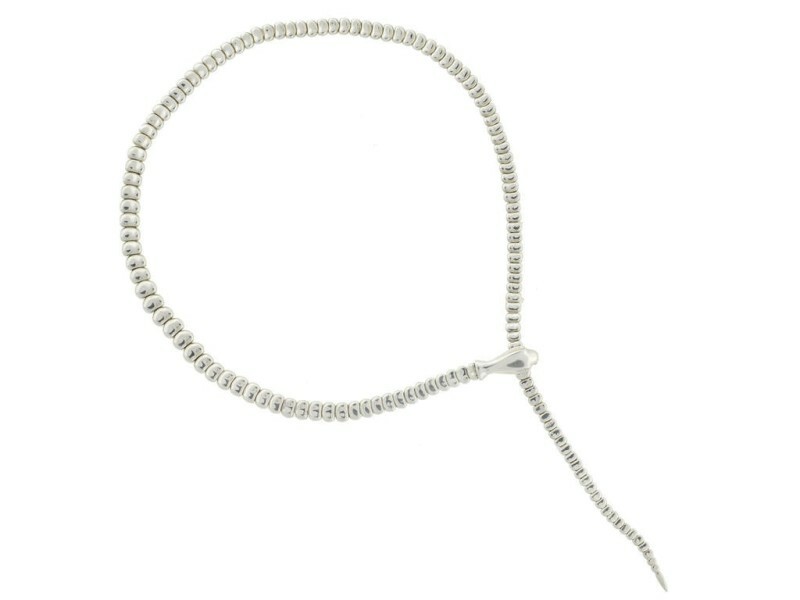 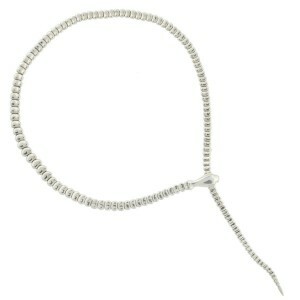 This unique Contemporary serpentine necklace from Tiffany & Co. is one of Elsa Peretti's iconic snake designs made of sterling silver, the piece is comprised of flexible graduated links that form the body and tail of a long, articulated snake. 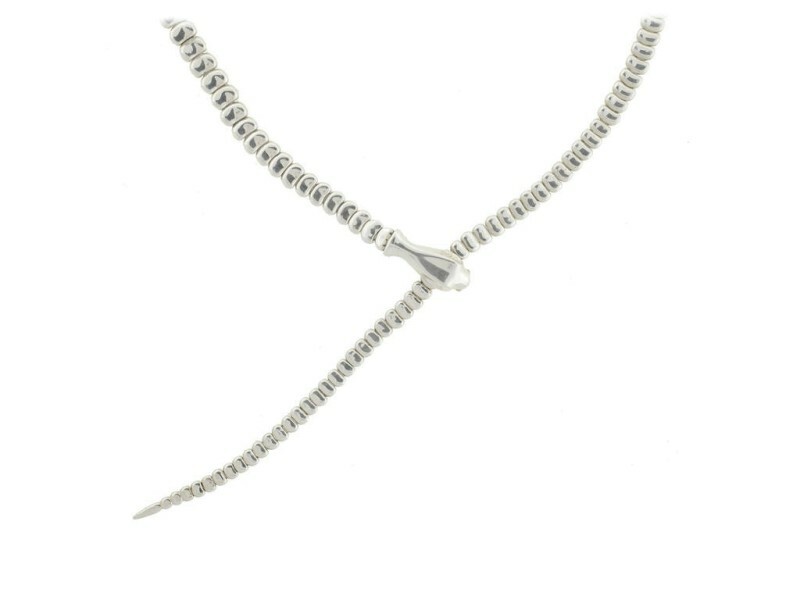 According to Peretti, who found snakes to be attractive creatures and was fascinated by their mechanics, the inspiration for the design came from a rattlesnake tail that was given to her for good luck.